THESE BOOKS. I won't say 'amiright??' today because I am so right! Even if my daughter doesn't think so. These were some greatly loved books from my childhood. When they arrived in the mail and I plonked them down in front of the child and delightedly exclaimed, 'Welcome to your summer reading!!' -- I was met with some serious side eye. To be honest, I don't give a yahoo whether she reads them or not, it just makes me happy to know they are now living in my house, because my copies have long since been torn to shreds. She's reading 'Henry Huggins' right now and then I'm hoping she'll dive into the rest. But she just found out that there are more 'Never Girl' books, so I think those are going to be added to the pile.....but let's CHAT MORE about these alrighty-eh? I know there are a lot of amazing books that have come down the pike since 1980, I'M SUPPOSING, but these classic chapter books are worthy of your attention, my friends. They are funny. And fun. And cool. And amusing. The hallmark of each one of these is F-U-N. Shall I say it in French? 'The Great Brain' -- do you know this one?? I meant to order a paperback and got a hardback instead. That's fine by me! If you're unfamiliar about this story about a smooth talking young con artist who lives to hustle his circle of friends and family out of pretty much everything they own in early 1900's Utah, you are missing a treat. My favorite part is when Tom (The Great Brain) starts charging his friends to come see his family's brand new 'water closet' - his family being the first ones in town to get a working indoor toilet. Hey, if I had the first inside toilet in town, I'd charge people to see it too. 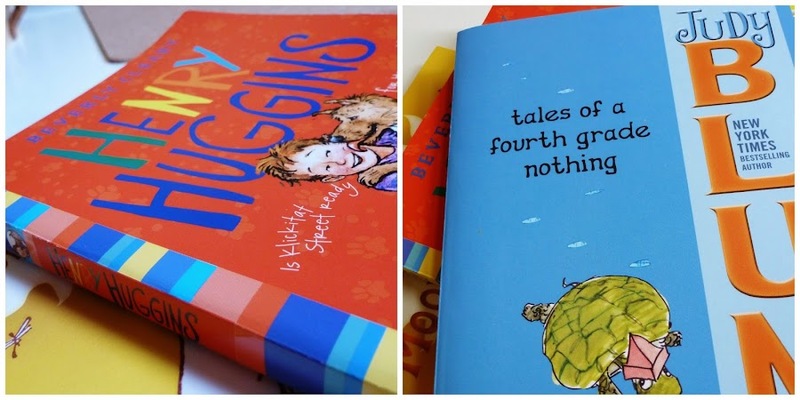 'Henry Huggins' - golly gee how I loved every last thing Beverly Cleary ever wrote. Including her series about a boy and his dog Ribsy, which is a lot less boring than it sounds. There were four other books in the Henry Huggins series and I read them ALL. In some ways, I liked them even more than the 'Ramona' series. Henry was such an easy kid to relate to, and he seemed to be living the Great American Childhood. The books were written in the 1950's, but Henry's neighborhood exploits are timeless. I read, and re-read these stories over and over throughout my elementary school years. If you're not a Moomin fan, we're done here. I'll wish you well. But I'll feel ever so sorry for you! Because you'll be missing the greatest stories about little creatures living in the wilds of Finland who have adventures dodging comets, floods, and gasp - empty tea jars! 'Moominsummer Madness' is one of my huge favs from the series. The Moomintroll family has been displaced by a runaway flood and they find themselves camping out in an old theater. Naturally, a disastrous theatrical production ensues. Let me stress that the original series of books are NOT little kid books. There is a lot of sophisticated wit and humor in the stories, and some fairly Deep Ideas woven into the characters' speech and thoughts. I think they're best for ages 7-10. 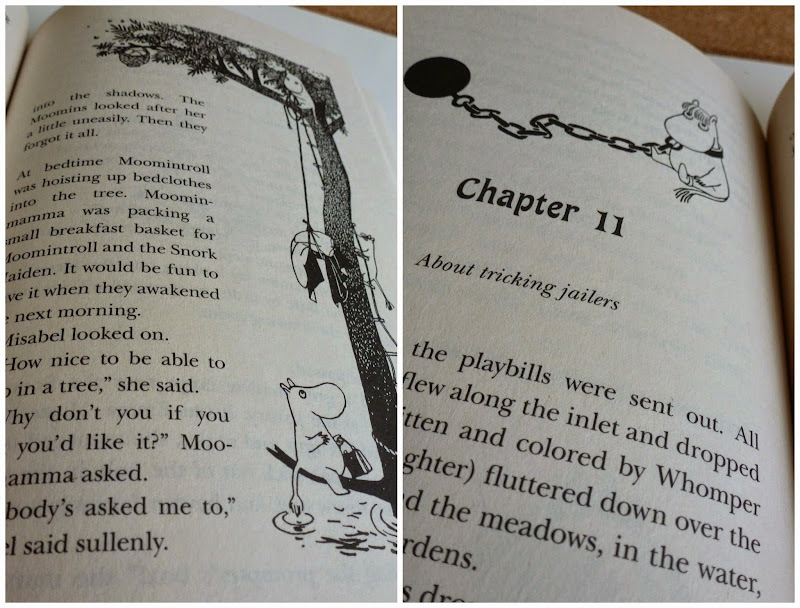 I've never EVER found another series to equal the charm and unique whimsy of the Moomintroll books. I'll keep the last book synopsis short and to the point. Judy Blume. Genius. 'Tales of a Fourth Grade Nothing'. The best. THAT TURTLE. You Blume fans know what I'm talking about! Blume had a way of expertly mining full tilt the awful, hilarious, and heartbreaking experience of being a kid. Every awkward feeling any child ever had? Blume knew them all and wrote them all down in her books. She's a wizard. Even though she was writing in the 1970's, Blume's books tap into the universal experience of childhood mortification that everyone has experienced at one point in their life. SO MANY BOOKS MY FRIENDS. Who's excited for summer reading?? There are so, sooooooooooo many old school classics. 'The Westing Game' anyone? 'From the Mixed-up Files of Mrs. Basil E. Frankweiler'?? Tell me about your old school favs! Let's fight over which books are the best. How cool to see illustrations that Mercer Mayer has done that are so different from his critters series. You are such a good mom. When J is grown up and realizes everything you put into her brain, she's gonna melt with gratitude and humility. Oh boy, can I tell you - J's reading group at school is reading A Wrinkle in Time and I'm like, no no no. TOO EARLY. I'm so disappointed! She has no idea what's going on in it. ooooh fun new books to discover! I haven't read Josephine or Lisa and Lottie!! 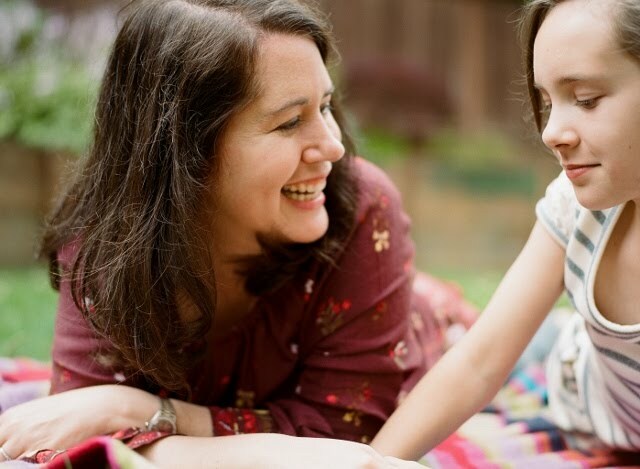 Oh and my mental age is probably a few years BELOW my daughter's age, ha. Oh my gosh - I loved the Great Brain books! I have a few of my original copies, but I've been on the hunt in used book stores to buy the ones I'm missing - but I'm being a purist and only buying the ones with the same Mercer Mayer covers I had. Just tonight I convinced my 8 year old book worm daughter to let me read to her at bedtime and I pulled out one of my old chapter books (Magic Elizabeth by Norma Kassirer) but I have a huge stack that I hope to get my two youngest (8 and 11) to read this summer. 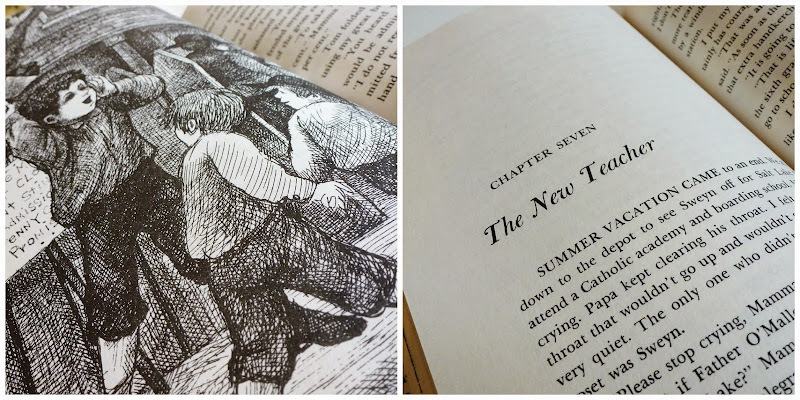 One of my favourite summertime reads is Gone-Away Lake and Return to Gone-Away by Elizabeth Enright (illustrated by the artists of my book obsessed youth - Beth and Joe Krush) but there are so, so many good books from my childhood I hope my kids fall in love with. All the Enid Blyton books, the Dark is Rising series (the first book Over Sea Under Stone is just so, SO good and perfect for my 11 year old), Understood Betsy, A Cricket in Times Square, all the Edward Eager books, starting with my favourite Half Magic, The House with a Clock in Its Walls by John Bellairs (illustrations by Edward Gorey! ), Strawberry Girl by Lois Lenski – and on and on. We haven’t read any of the Moomin chapter books, but we have all the recently printed collections of the Moomin comics and they are just about perfect. 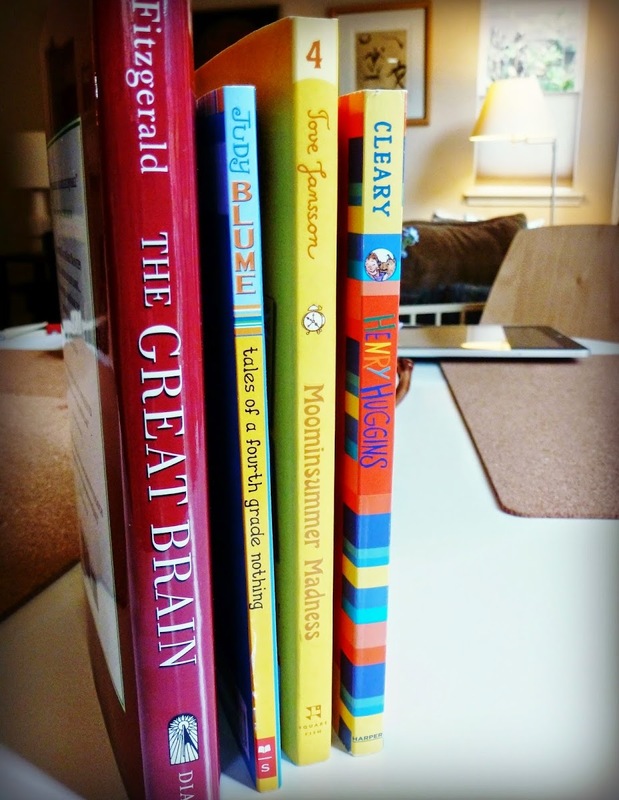 Even if I can’t convince my kids to read these books, I will this summer! PEGGY-SUE!!! Apparently I'm not going to be able to fight with anyone today because we all love the same books! Ok I'm so flipping thrilled you mentioned The Dark Is Rising series - those were my favorite books when I was 11 or 12. Serious FAVORITES. I was obsessed with those books! LOVE them!! And Understood Betsy! LOVED that one! I read it from the library and I just adored it. I need to own that one. The House With a Clock In Its Walls - LOVE. Never read the Gone Away books, I'll have to go look for those. And of course there are the Shoes books by Noel Streatfeild, but those are getting their very own post someday! You will not regret buying the Gone-Away books! And I have practically made it a mission to get people to read the Dark is Rising series! I had forgotten all about The Great Brain until you mentioned that water closet story- TOTALLY REMEMBER THAT!!!! And we read Henry Huggins, Ribsy, and Henry and Ribsy last summer and just finished Socks and The Mouse and the Motorcycle- soooo fun!! These are "classics" in the same way that Salt n' Peppa is "classic," or Crowded House or REM. It's BS, really. Thank you SO much!! Makes my day that you stopped by with that lovely comment! !